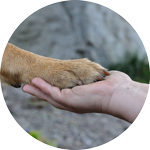 Our directory of registered TCVM professionals is intended for use by potential clients to locate veterinarians who can provide TCVM services for their animals or for TCVM practitioners to find and connect with others in their field. Enter a city, or state, or state + zip code (U.S. only) in the space below and click "Locate" button to find local TCVM practitioners in the area. You may also drag the map to other areas, and use the plus (+) and minus (-) buttons to zoom in or out. Numbered circles represent clusters of multiple practitioners. Click on clusters to expand them and see individual listings. Registered AATCVM/WATCVM members: To update your profile information, simply log in first then click here to view the profile update page. Note that address changes require 1 day to reflect on map.